You have made the decision you wish to invest in sustainable and future driven companies. How do you actually go about doing this? Direct shares are a really easy way of having the control to access the companies you feel meet your expectations of a positive investment. You will need to do the research and completely understand the company. Just because the direct work is of an ethical nature doesn’t mean that indirectly they are supporting a cause that would cross them off your list. This due diligence would take a lot of time and knowledge to complete. If you don’t have an interest in this area already it may prove overwhelming. After you have done the research buying the direct shares you have nominated is very easy through an online share brokerage system with very competitive brokerage rates. Another way of accessing ethical investments is through a managed fund. In this manner you would research the fund provider to determine if their approach and screens are in line with your beliefs. You can access these managed funds often directly or through your superannuation depending on your circumstances. These providers will charge a fee ongoing to manage these investments and picking which shares to invest in or sell at any given point in time. You can take a lot more of a back seat and let the investment manager control the ongoing investment decisions. Either way you choose to invest is up to you and what you are comfortable with. The important thing is that you know what you want to avoid and what you want to invest in and you do the research to make sure what you choose meets those goals. 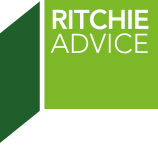 If you would like to understand more about ethical investments or require assistance accessing these the staff at Ritchie Advice would be more than happy to help so always feel free to give our office a call on 6234 1488. ‹ What would you do differently if you could go back in time?